Hit Music Radio plays More Music Variety! 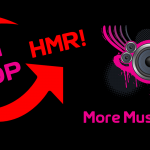 Hit Music Radio is a brand of HMR Media. Your privacy is important to us. We want to better help you understand how and why we use your data. Please view our Privacy Statement for more details.